Thanks to the reporting of Motherboard we have a clearer understanding on Apple stance and why they refuse to issue the recall their local costumers deserve. Jason Koebler from Motherboard reported his contact with several Apple Geniuses. They informed Koebler they had been explicitly told about the issue by their superiors. Moreover the issue was hinted at by those higher up in the company, yet no resolution has been offered. If you remember “bendgate” was a big issue for the iPhone 6 when it was originally released. The phone was bigger than users had interacted with in the past. Many videos surfaced of users bending or cracking the phone due simply to the phones own enormity. It is this bending that is thought to be the cause of Touch Disease. 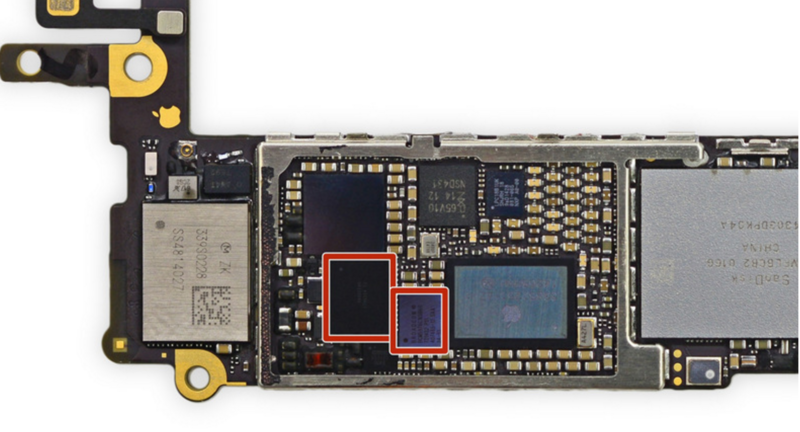 The iPhone 6 tendency to flex under pressure, combined with simple manufacturing flaws surrounding chips and how they are attached to the motherboard of the phone, lead to a issue with the integrated circuits (ICs). These circuits allow the device to sense when the screen is being interacted with and react in the proper way. However the flex has severed these attachments and inhibited the devices ability to sense touch. Symptoms of Touch Disease range from obvious symptoms such as a frozen or unresponsive screen. You will easily be able to identify the issue if your device is displaying a flickering grey bar near the top of the screen. Seems to me Apple should take a note from Samsung and at least issue a partial recall. This would seem like a logical course of action but for whatever reason Apple is remaining silent. Perhaps in hopes we will all give up and purchase the new device. According to Moe Muscati, general manager of New York City’s The Phone Works & Co., demand for iPhone 6 repairs are through the roof. Muscati recently commented to Motherboard saying, “Let’s say you have 10 iPhone 6 Pluses, about five out of 10 that come in here have this problem.” It is clear Touch Disease is not a issue that is resolving itself. Instead it is leaving hundreds if not thousands of customers scratching their heads as they talk to Apple Geniuses who know nothing else to do but deny the problem exists. There are currently several class action lawsuits against Apple concerning this issue. This includes over 6,500 individuals who reached out to the law firm filing the suit to help lend their voices. Apple refuses to comment on articles published about Touch Disease or to publicly come out and acknowledge the problem. This is terrible for the companies public image. But perhaps Tim Cook has lost sight of whats really important and that is taking care of the customer. Tim Cook will never be Steve Jobs. Thanks for the article. My IPhone 6 has the disease so I don’t need an explanation. It’s good to know what’s going on especially since the phone is less than a year old.. I’ll be signing on as a plaintiff. This “Touch Disease” is real and is affecting customers in other countries. I am in the Republic of Panama where I purchased an iPhone 6 and have been suffering this problem for a couple of months. I’m so frustrated that I am about to trash my iPhone 6 and get a new cellphone from another brand. It is a shame that Apple has forgotten us, loyal customers.